The whistle is blown for an infringement and Samuele Longo (Huesca) receives a yellow card! Samuele Longo (Huesca) shoots and it's a goal! The resulting corner from David Ferreiro (Huesca) is cleared by the opposition's defence. David Ferreiro (Huesca) sends a teasing cross into the area, but Sergio Asenjo intercepts the ball. The total shots for both teams statistics – 26:10. A fine lofted pass into the box, sent by David Ferreiro (Huesca), is intercepted by the opposition's defence. Luis Garcia Plaza prepares a substitution. Samuel Chukwueze is replaced by Javi Fuego (Villarreal). Substitution. Jose Camacho (Huesca) replaces Pablo Insua. The resulting set piece from Huesca is comfortably intercepted by one of the defending players. Jorge Pulido (Huesca) quickly picks up the rebound and shoots towards the bottom left corner. The goalkeeper pulls off a stunning save to deny him. Sergio Asenjo gets a well deserved ovation! He pulls off a remarkable save to block a long-range effort from Moi Gomez (Huesca) towards the roof of the net. Nice goalkeeping skills! David Ferreiro (Huesca) lifts the ball into the box from the corner, but one of the defending players gets there first to head it clear. It's in the back of the net! Alfonso plays it into the box, and Gerard Moreno (Villarreal) gets on the end of the cross to put it into the bottom left corner. 1:2. Huesca fail to score from a corner as Sergio Asenjo (Villarreal) leaps to collect the ball. Cucho (Huesca) came close to scoring but should have done much better. His poor attempt from close range ended up in the gloves of Sergio Asenjo. The referee and his assistant both point at the corner flag. Huesca will have an opportunity to threaten the opposition's goal. The attendance for today's match is 6455. It's time for a substitution. That's the last involvement from Gonzalo Melero as he is replaced by Samuele Longo (Huesca). David Ferreiro (Huesca) crosses the ball into the box from the free kick, but the defence clears the danger. Miguel Layun (Villarreal) whips in the corner, but one of the defending players gets a head on it and intercepts. Gerard Moreno (Villarreal) decides to strike the ball towards goal, but his effort fails to threaten the goalkeeper after being well blocked by one of the defenders. Corner kick. Villarreal will have an opportunity. Carlos Bacca goes off the pitch and Alfonso (Villarreal) comes on. Jorge Pulido (Huesca) receives a yellow card for a nasty tackle. A horde of players are waiting inside the penalty area for a cross from the corner, but David Ferreiro (Huesca) takes it short. Leo Franco decides to make a substitution. 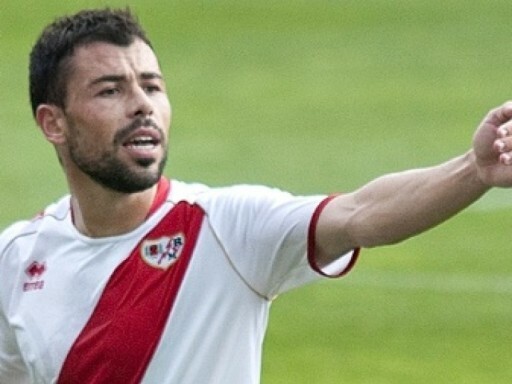 Ezequiel Avila will be replaced by Serdar Gurler (Huesca). The referee stops play so that a substitution can be made and Manuel Trigueros leaves the pitch and Miguel Layun (Villarreal) comes on. Gonzalo Melero (Huesca) places the ball on the penalty spot and sends it towards the bottom left corner. His effort isn't powerful enough, allowing Sergio Asenjo to dive and keep the ball out with an excellent save. Carlos Bacca (Villarreal) uses the wrong choice of words while trying to explain something to the referee and receives a yellow card for dissent. Mario Gaspar (Villarreal) receives a yellow card from Davide Medie Jimenez and because it's his second he will have an early bath. The referee blows his whistle as Mario Gaspar (Villarreal) was too aggressive in his challenge. No point in arguing there. Huesca will take a penalty kick. Goal! Carlos Bacca (Villarreal) wins the battle of wills and sends an unstoppable penalty past Aleksandar Jovanovic into the bottom left corner. Carlos Bacca (Villarreal) is heading towards the penalty spot to take it. Here comes the VAR decision: PENALTY to Villarreal! Referee Davide Medie Jimenez makes the VAR signal and is going to check whether it’s a penalty for Villarreal. Let’s see what happens! Aleksandar Jovanovic (Huesca) makes a slide tackle, but referee Davide Medie Jimenez blows for a foul. That's a penalty to Villarreal! They have a good chance to score now. David Ferreiro (Huesca) will take the corner. Jorge Miramon (Huesca) delivers a lovely cross into the penalty area. Nevertheless, an opposition defender is alert and averts the danger with a brilliant clearance. The ball is out of play and the linesman points at the corner flag. Corner to Huesca. The free kick is taken by Manuel Trigueros (Villarreal), but ball is cleared. Davide Medie Jimenez shows a yellow card to Pablo Insua (Huesca) for his blatant foul. David Ferreiro (Huesca) launches a cross from the corner, but Sergio Asenjo is alert to thwart the effort. David Ferreiro (Huesca) fires a shot at goal from a very promising position outside the penalty area, but it is blocked by a self-sacrificing defender. The ball goes behind for a corner. Huesca will have an opportunity to threaten the opposition's goal. Huesca work the corner short. The ball is passed to a nearby teammate. Ezequiel Avila (Huesca) produces a lovely ball into the penalty area but the defender manages to intercept and comfortably averts the danger. Huesca force a corner. Their opponents will face another attacking threat. David Ferreiro (Huesca) takes the corner, but one of the defenders reacts well and rises highest to head the ball away. The resulting corner from David Ferreiro (Huesca) is cleared. The ball goes out for a corner. Huesca can continue in their attacking effort. That's a well-taken pass by Gonzalo Melero (Huesca). He unleashes a strike from the edge of the box, but blazes it high over the bar. Davide Medie Jimenez blows his whistle and the second half starts. Cucho (Huesca) makes no mistake from the penalty spot after firing the ball into the bottom left corner of the goal to give the goalkeeper no chance! Mario Gaspar (Villarreal) is yellow-carded for breaking the rules of the game. Cucho (Huesca) will take the responsibility and he is already preparing the ball. Manuel Trigueros (Villarreal) is booked after bringing down an opponent. Davide Medie Jimenez had an easy-decision to make. Manuel Trigueros (Villarreal) was trying to get to the ball but clattered into the legs of the opponent as well. Davide Medie Jimenez blows his whistle for an infringement. A penalty is awarded to Huesca! Gerard Moreno (Villarreal) fails to send a pass into the box as his effort is cut out. The ball goes out of play. Huesca are awarded a corner kick. Moi Gomez (Huesca) sends in the corner, but fails to find the head of any of his teammates, allowing the defence to clear. David Ferreiro (Huesca) delivers a promising cross into the box, but it's cleared. Carlos Bacca (Villarreal) fouls an opponent during an attacking move. David Ferreiro (Huesca) unleashes a decent shot towards the roof of the net, but Sergio Asenjo thwarts him with a nice save. Manuel Trigueros (Villarreal) makes an overly-aggressive challenge and Davide Medie Jimenez blows his whistle for a foul. A nice lofted cross finds Cucho (Huesca) unmarked. He takes an excellent touch and gets in a shot that goes towards the middle of the net. An easy save for the goalkeeper, though. A goal, which was scored by Carlos Bacca (Villarreal), was disallowed due to offside. It's a nice effort by Carlos Bacca (Villarreal) from the edge of the box, but it's low towards the middle of the goal and straight down the throat of Aleksandar Jovanovic. Easy save. A pass by Samuel Chukwueze (Villarreal) ends up in no man's land, and the attacking effort comes to an end. David Ferreiro (Huesca) is unable to control an accurate defence-splitting pass properly and one of the defending players reacts well to rob him of the ball. Pablo Insua (Huesca) is penalised for a foul. Davide Medie Jimenez had a clear view and blows his whistle. This corner kick is taken with a short pass by Moi Gomez (Huesca). What a big chance! Pablo Fornals (Villarreal) picks up an inch-perfect pass inside the box and fires the ball just over the crossbar. Cucho (Huesca) evades the challenge and decides to shoot from distance, but it was a poor decision as the ball balloons high over the bar. Jorge Miramon (Huesca) puts a cross into the box from the free kick but it's cleared. Gerard Moreno (Villarreal) fires the ball at goal from inside the area, but it's well blocked. Ezequiel Avila (Huesca) receives a yellow card from the referee as expected. Cucho (Huesca) swings a cross into the box, but it's far too close to Sergio Asenjo, who smothers the ball. Jorge Pulido (Huesca) seems to have picked up a minor injury, but it looks like he will be able to continue playing. Looks like Jorge Pulido (Huesca) is struggling after picking up a knock. Hopefully he can run it off. Samuel Chukwueze (Villarreal) produces a dangerous lofted cross into the box which is intercepted. Jorge Pulido (Huesca) blasts the ball from just outside the box, but his attempt is blocked by the defender. Samuel Chukwueze (Villarreal) unleashes a shot from the edge of the box, but it goes straight at Aleksandar Jovanovic. Cucho (Huesca) does well to reach the lofted pass in the centre of the box, but doesn't make full contact and his header drifts well past the right post. Cucho (Huesca) unleashes a powerful shot towards goal from a mid-range free kick, but the ball is blocked by the defensive wall. Santiago Caseres (Villarreal) pulls the jersey of one of the opposition players and Davide Medie Jimenez blows his whistle for a foul. Huesca have a free kick from a promising distance. Huesca will kick the game off. The referee of today's match will be Davide Medie Jimenez.